To start, Rembrandt light refers to a very specific type of lighting, which you can find out more about right here. The finding Rembrandt educational series is very easy to follow thanks to Chris Knight who does an outstanding job of explaining everything in easy to understand segments. He is comical in his own way, and makes things easy to understand. There are 13 chapters in all starting at the beginning with a look at Rambrandt’s world, life, and work, and then you move on to Light and Style, Translating to Photos, and then How to Shoot Male Models, How to Shoot Female Models, and Creative Female Portraits. 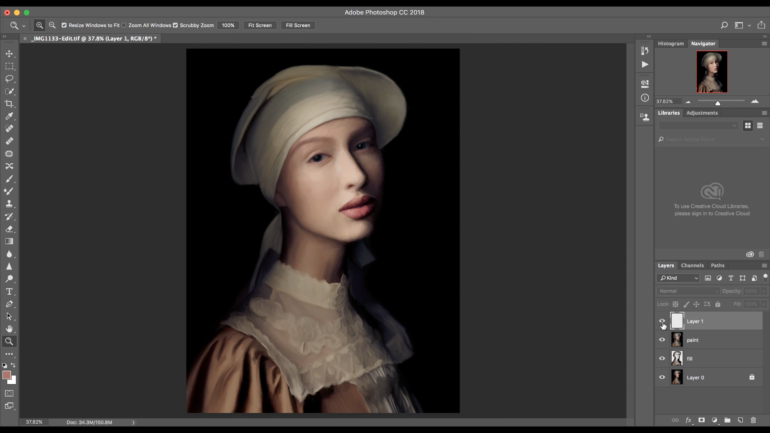 The series finishes off with a very in depth tutorial on how to turn your images into a painting in Photoshop. 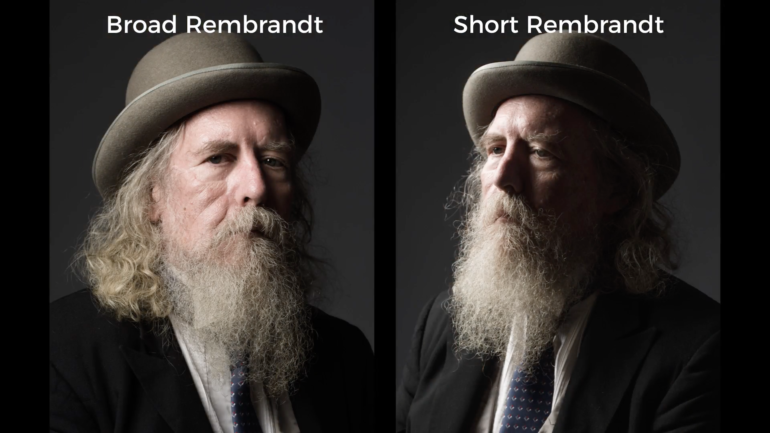 Each segment varies in length from 8 minutes all the way to the longest video which is 44 minutes long, but a lot of your time will be learning about Rembrandt’s style and how to create his iconic look. The main bulk of your time will be learning about how Rembrandt came up with his unique style and how you can recreate this by using a small amount of lighting equipment. The videos do a great job of breaking down exactly what Rembrandt’s portraits entailed and what they consist of. Rembrandt’s portraits were usually all low key with warm tones, bright highlights with details in the shadows, and plenty of background separation. 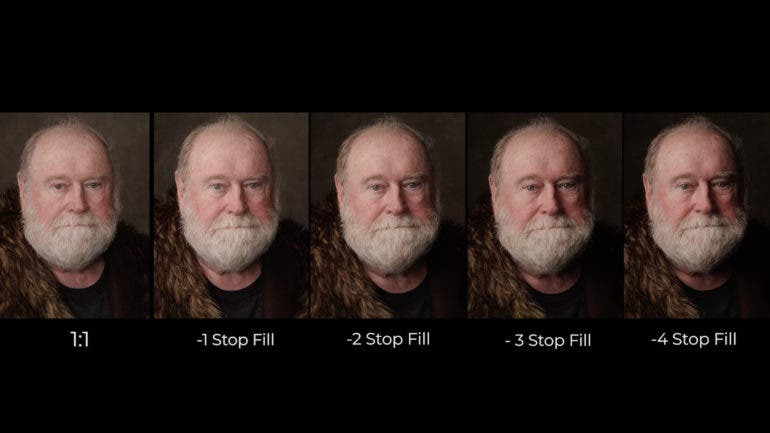 The Finding Rembrandt: Shoot Like the Old Masters series will show you how to recreate portraits with the above characteristics using one main key light, one fill light, a back light for separation, a flag, and a grid to help really focus the light onto your subject. All of these steps are described in detail and various scenarios are shown to help you understand why light placement is important. 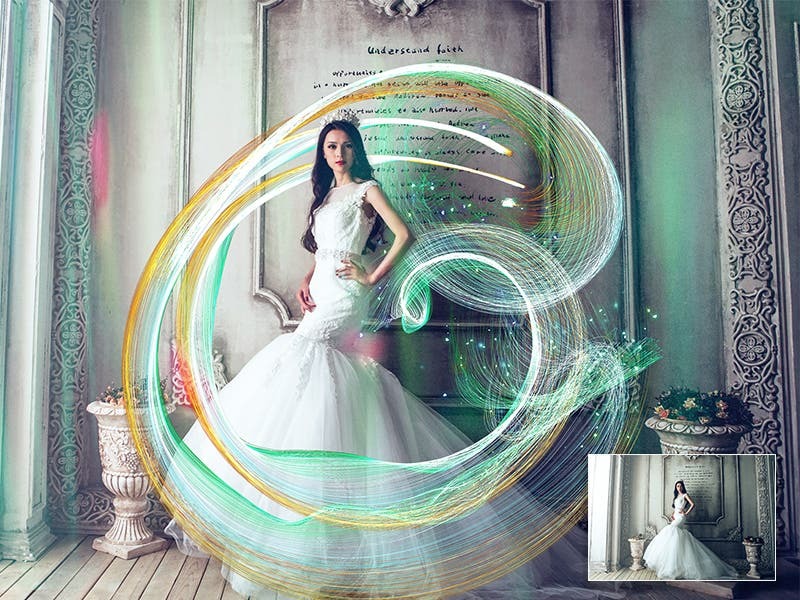 The tutorial will also show you how to balance your key light, and your fill light for perfect exposure every time. 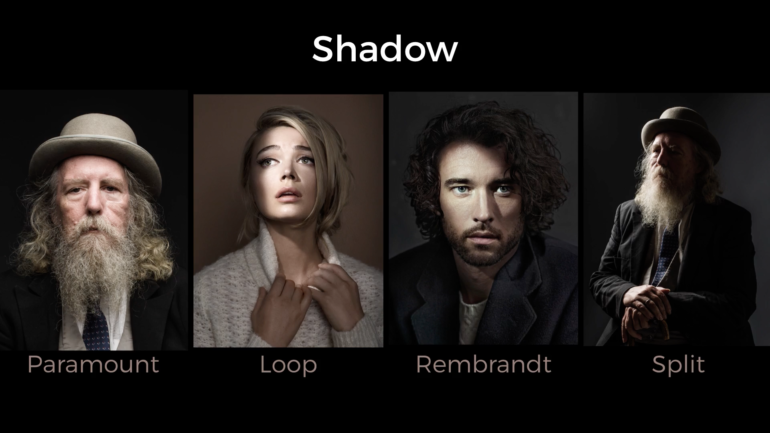 A really fun part of this series teaches you how to bring Rembrandt lighting into the 21st century by using color gels to to add extra dimension to the shadow areas of the portrait. 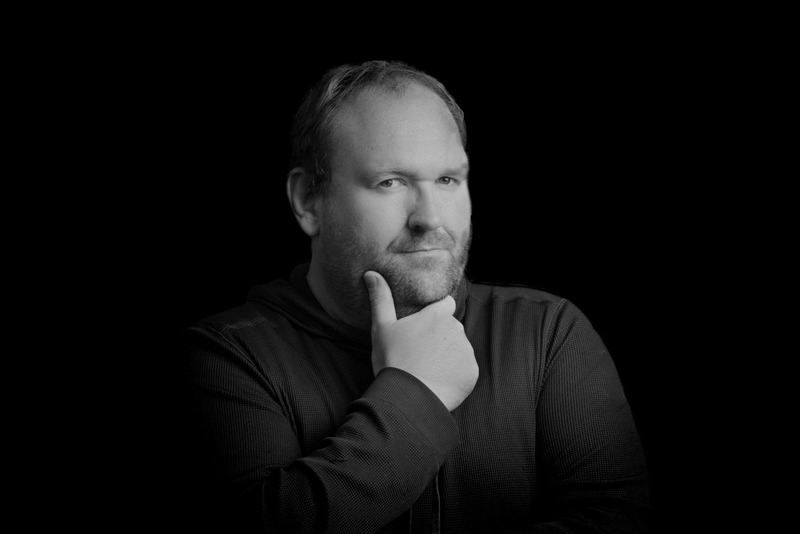 Chris Knight tells you exactly how to do this, and shows the dramatic impact that gels can have on your final image. I know that after seeing this I would really love to experiment more with gels because they can add a whole lot of drama to an image and it is incredibly easy to do. The very last part of this impressive guide will show you how to turn any any image into a painting in Photoshop. This I thought was incredibly cool and it certainly has me interested in trying the technique for myself. Chris Knight shows you how to use the mixer brush tool, and teaches you how to contour your strokes to the shape of your subject. This video is the longest in the series at 44 minutes long, but I promise you, you will not want to skip over this. Nobody will ever be able to tell your work is run of the mill if you master this skill. Overall the Finding Rembrandt: Shoot Like the Old Masters series is a very fun look at how the Dutch master, Rembrandt was able to create his style, and the mood and emotions that are portrayed in his portraits. Chris Knight really does an excellent job at explaining how to set up your lighting equipment, how to pose your model, how adding gels can bring this technique into the present, and how to edit your images in post so that you can add dramatic warm tones, and bring out all the detail in the shadow and highlight areas in your final image. The videos are easy to follow, and technical aspects are explained in easy to grasp ways. If you have been wanting to learn about Rembrandt Lighting, this guide will help you master the technique in no time. The best part about Finding Rembrandt: Shoot Like the Old Masters is that it is currently part of a huge promotional bundle that can be yours for just $89. The bundle features this tutorial, and 21 other tutorials from the likes of Serge Ramelli, Lindsay Adler, Zak Arias, and Frank Doorhof. The entire value of the bundle is $2,680.99. This sale lasts for just 5 days, so don’t pass up the opportunity to learn from many masters in the world of photography.